Every month we spend an evening scouring the pages of the latest issue of Previews and pick the titles we are looking forward to the most. This month it's the March issue which includes comics scheduled to ship in May 2018. Matt C: For the umpteenth time in last couple of decades, we find Avengers #1 appearing on the horizon, and I suppose I could digress onto the whole ‘renumbering’ issue, but that argument’s been done to death and the reasons should be abundantly clear at this stage, if not exactly welcome for when we come to file our comics. 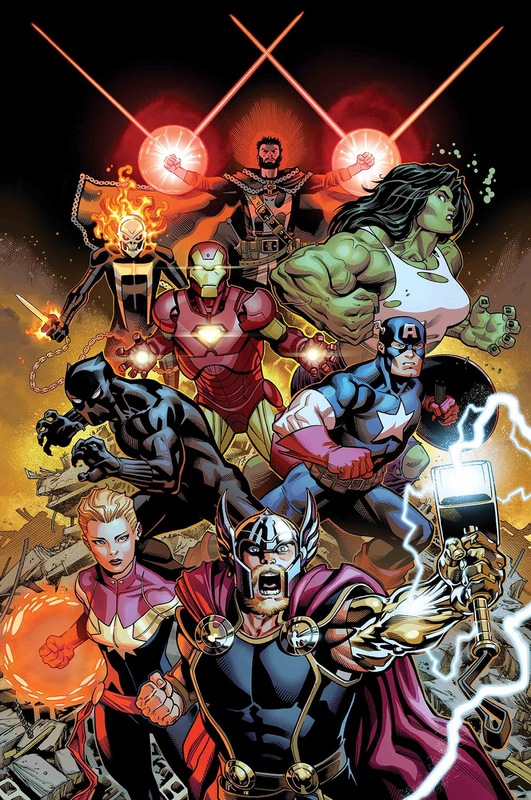 The postive is, of course: Jason Aaron writing an Avengers book! There are those who may try and claim that he does his best work on creator-owned stuff, but the counter to that is his run on Mighty Thor, which has been generally exceptional. This ‘debut’ issue has a solid line-up of superheroes (some obvious, some not-so-much) but it will also feature the return of the Caveman Avengers (not their official name) which is a concept with plenty more mileage as far as I’m concerned. James R: The first miniseries featuring the dimension-hopping adventures of Boone Dias was one of the great surprises of 2017. 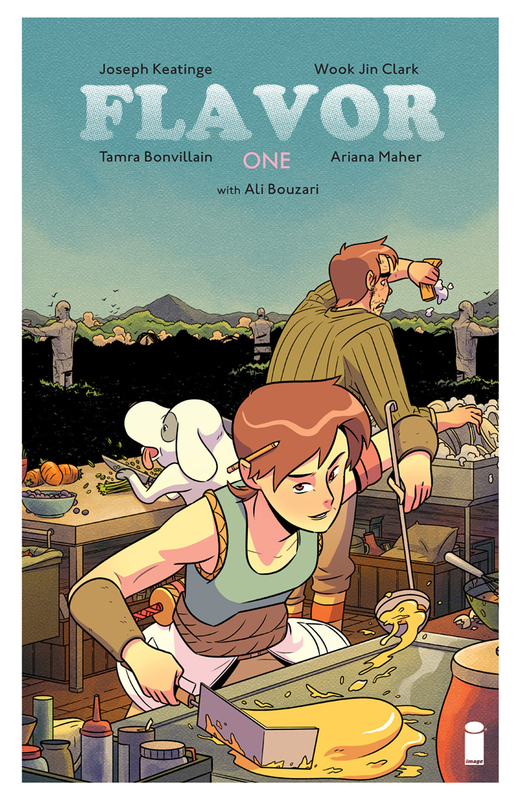 The always-excellent Matt Kindt found a brilliant collaborator in artist David Rubin, and they crafted a tale that was packed with invention and a lot of heart. 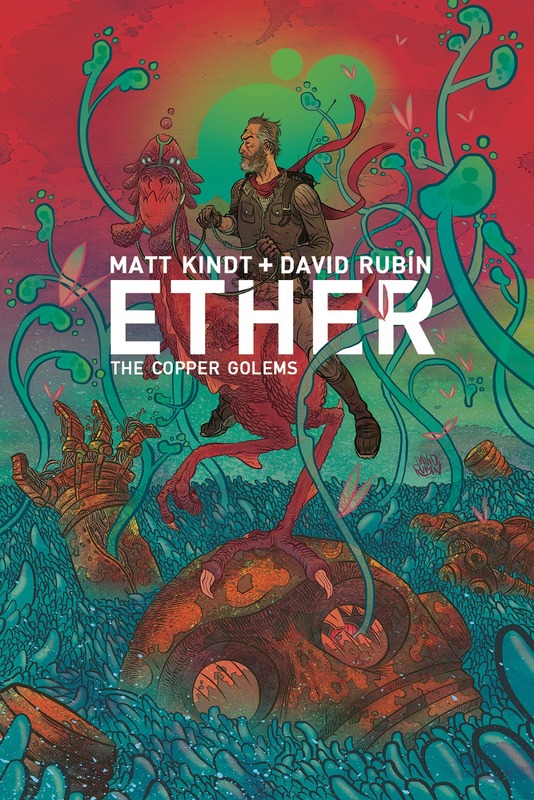 I'm thrilled to see that Ether is returning for a second arc: The Copper Golems sees Boone attempting to seal portal breaches between Earth and Ether which are causing magical fury on Earth. I'm sure this return to the imaginative realm of Ether will be just as thrilling as the first - and definitely a highlight for me, even in what looks to be a very strong month for new releases. Simon M: Garth Ennis is returning to the world of horror with a new series out in May. This will be the third book that Ennis has done with Aftershock following Dreaming Eagles and Jimmy’s Bastards, both of which were highly enjoyable. A Walk Through Hell is the first pure horror story from Ennis since his stint on the original series of Crossed back in 2008. The story revolves around two FBI agents investigating the disappearance of two fellow agents and it is not long before they realise all is not what it seems. Things are happening that are just not possible and cannot be explained by modern science, many events mirroring a particularly traumatic previous case which was concluded under dubious circumstances. Ennis, in my opinion, is one of the modern masters of comics and his gritty style of writing can always provoke periods of inward reflection. Joining the creative team is Goran Sudžuka whose previous works include Wonder Woman and Outlaw Nation. 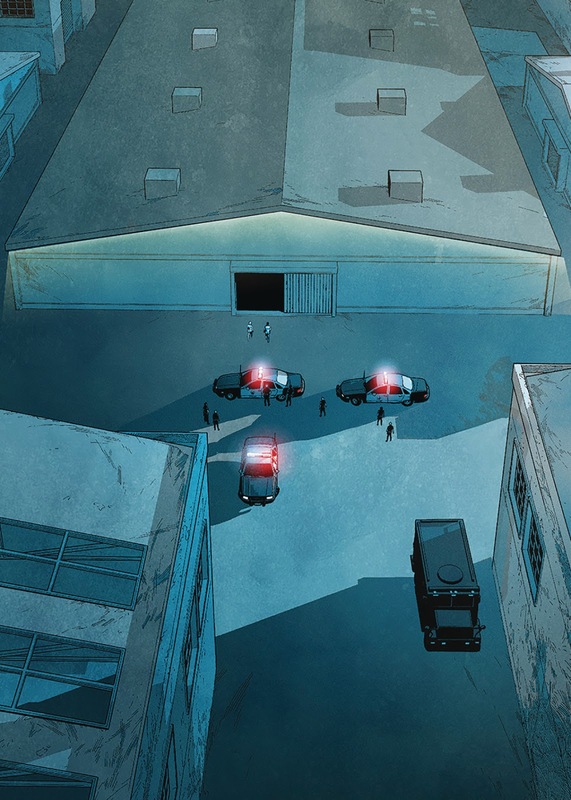 The art on the available preview pages seems to match the writing style and the dark palate creates a sense of foreboding. Could this be the next iconic Ennis book? Jo S: Those who have followed the PCG reviews in the last year will know that I have a soft spot for the stuff inside Simon Spurrier’s head, and so I guess it's not such a surprise that I'm excited to see this new 12-parter incoming. Spurrier was the hook, but the reeling in was definitely in the hands of artist Matias Bergara - wild colours, crazy detail, a fantastic wraparound cover on the first issue… this looks like an absolute feast for the eyes. 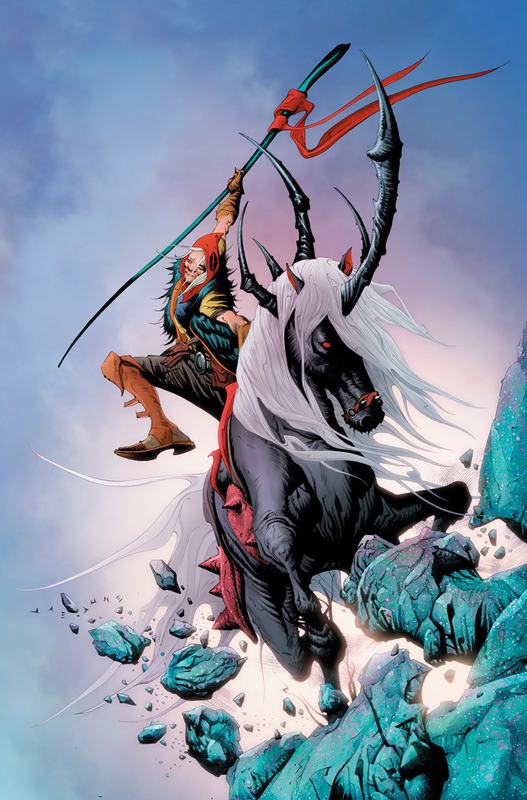 Spurrier is world-building again, this time a post-magic world where Hum the bard rides a pentacorn (yup, five horns) on a quest to save his lost love. BOOM! have several of my favourite comics this year - their readiness to take a risk on books such as Grass Kings and Abbott earns my respect and I hope this new series brings them further success. James R: A no-brainer choice for me; as a huge Alan Moore fan, I'm a sucker for anything written by the Bard of Northampton, even if it is just repackaged with a shiny new cover! 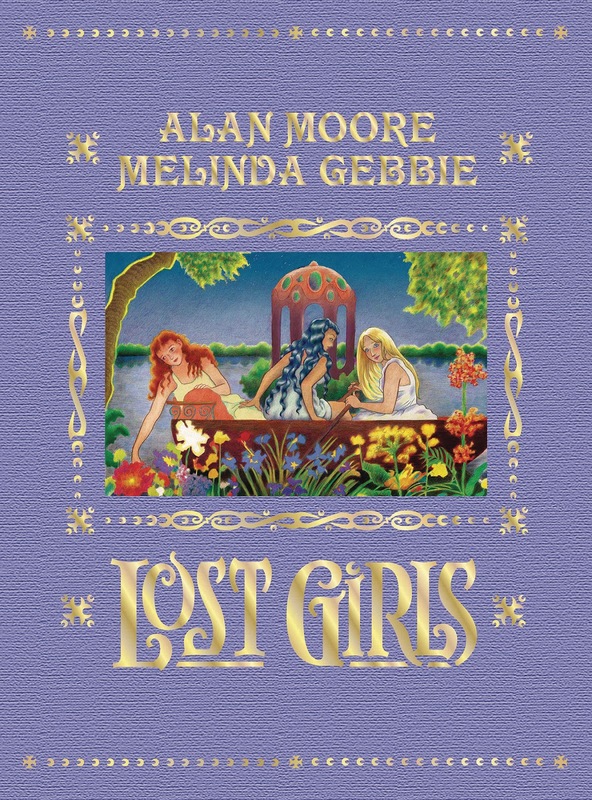 This expanded edition of Lost Girls is more than that though - it contains new artwork and commentary from Moore and co-creator Melinda Gebbie. Lost Girls is arguably Moore's most controversial (and certainly his most explicit) work, so this won't be for everyone, but for an Alan Moore completest like me, this will be a must-buy. 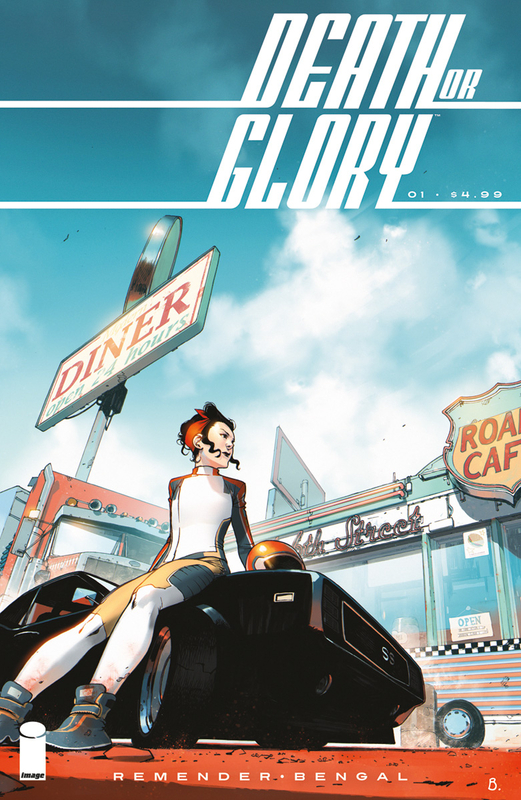 Kenny J: Rick Remender is a writer that defies characterisation. He has written about everything, from civilisations at the bottom of the ocean to families traveling the depths of extra dimensional spac,e but then he'll pop out something like Death Or Glory. The story of a woman living on the road and off the radar who finds herself dragged back into the system of healthcare and law enforcement, firmly falling on the wrong side of the latter as she is forced to rob banks in order to pay her father's medical bills. Bengal's art invokes that feeling of sun-bleached Americana that befits such a story. A stylised setting that anyone should recognise from Hollywood movies, from Easy Rider on up, is brought to life in the pencils of this talented French artist. Jo S: Black Panther is clearly hot, hot, hot right now but, rather than flesh out the terrestrial back story of the Rex Wakanda, Ta-Nehisi Coates, who has helmed most of the recent comics on this hero, teaming up with artist Daniel Acuña, takes T’Challa intergalactic. 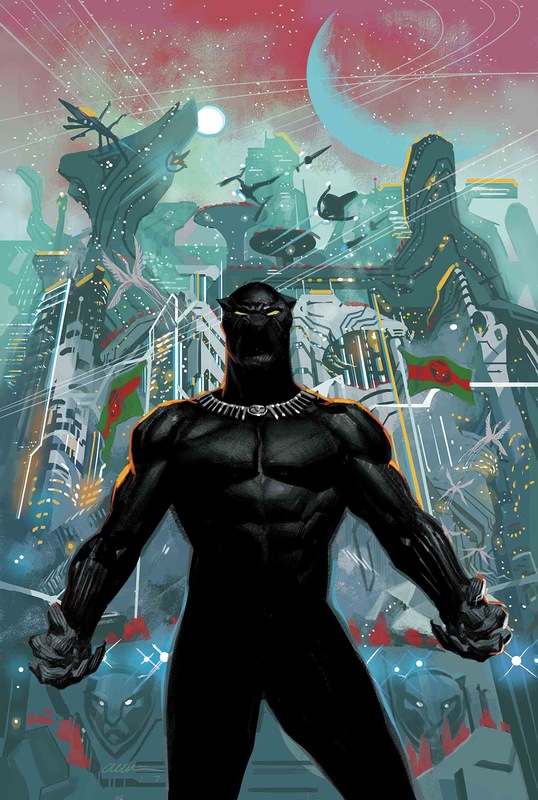 Wakanda’s futuristic levels of technology, based around the plentiful supply of vibranium, have allowed them to expand, not just covertly into most of the nations on Earth, but also out into the Multiverse, there extending T’Challa’s empire into something many magnitudes larger than than hidden kingdom on our home planet. Coates’ background in politics and activism make him the perfect creator for the Black Panther; the concept of Wakanda reaching out to colonise alternate universes will be interesting to explore. James R: Wow! They finished it! 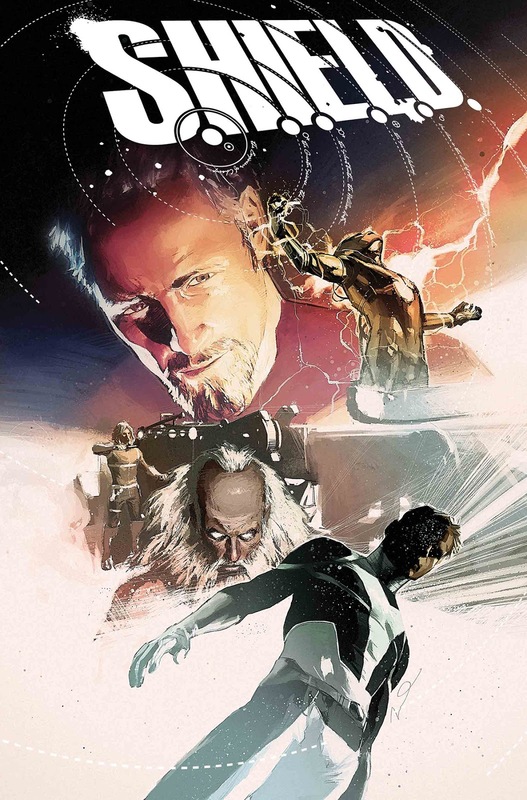 Jonathan Hickman and Dustin Weaver's wild, history-spanning Marvel epic was a firm favourite around these parts, and as Hickman bid farewell to the Marvel Universe with Secret Wars, it seemed that we'd never get the conclusion to the tale of Leonardo Da Vinci, Nikola Tesla and Issac Newton (seriously, if you didn't read it first time, seek it out, it's a wild read! ), but Excelsior! In the pages of Previews, Marvel tell us that the story will finally get the finale it deserves with two concluding chapters. I couldn't be more excited - finding out how this one ends is as good as any breathtaking new series for me this month. Andy H: A long time ago, in a galaxy far, far away.... or about 16 years ago in any good comic shop, Tag and Bink arrived. We all know about the Dark Side and the Light Side of the Force but there was also a 'lighter' side. I long regret not keeping hold of my original Tag & Bink comics as they have been nigh on impossible to find since. Thankfully Marvel have seen fit to reprint the misadventures of these hapless heroes. The great thing about these stories is they all take place during the Original Trilogy and actively include scenes we know and love. 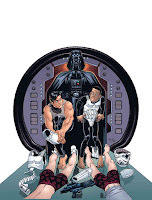 What we didn't know was that Tag & Bink played pivotal roles in a lot of these and Kevin Rubio has great fun weaving their tale into the one we know so well. From the Blockade Runner containing the Rebels and the stolen Death Star plans right to the celebrations on Endor, Tag & Bink were there. It was a fun read, way back then, and I look forward to revisiting that part of the Star Wars Universe again. Jo S: Though I’m unfamiliar with the creative team on this new outset, I was grabbed by the premise - a walled city community where chefs are celebrities and food is the centre of all commerce - and by the sample art which looked wondrously detailed and complex. A story of a rebel unlicensed chef, competing in a Hunger Games-style competition, plus a dark mystery and all the food metaphors you can eat, sounds very much up my street. To add to that mystery, the cover appears to show human chef and dog chef working together so, if nothing else, a little anthropomorphic entertainment should be in the offing. Plus, not many comics can boast an award-winning food scientist as a consultant so at least our dog chef might know his miso from his bonio!